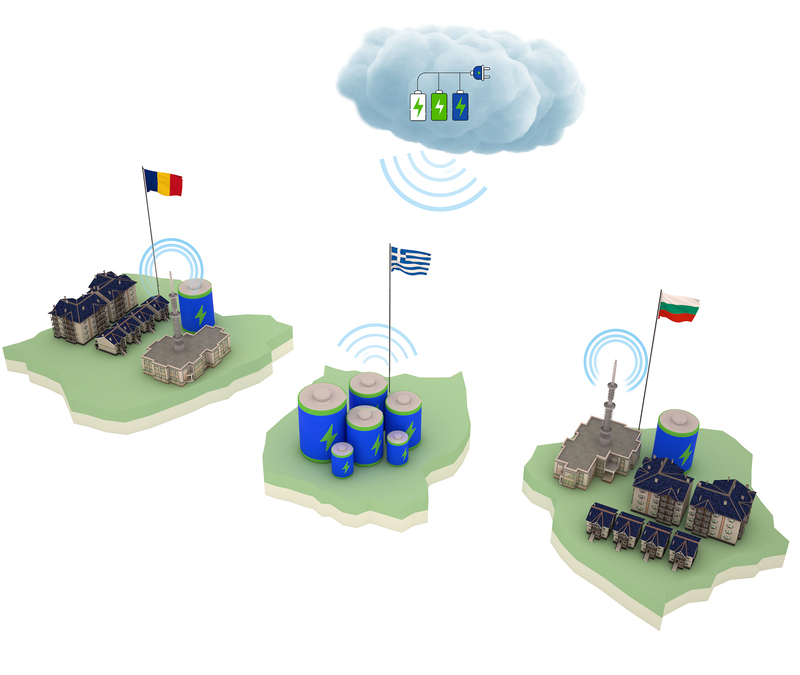 CROSSBOW will demonstrate an integrated approach in the management and the operation of the transmission network in South Eastern Europe. The project will extend the functionalities provided by Regional Security Coordination Centre (RSC) operating in the region – SCC, member of the project consortium. Most of the current TSOs making use of SCC services will participate in this demonstration. CROSSBOW will explicitly address the development of balancing capabilities of future Regional Operation Centres (ROC) – adaptable to any existing RSC. The ROC balancing cockpit will allow the data and information exchange between TSOs in order to increase reliability and efficiency in the transmission system. CROSSBOW will demonstrate in HLU2 how to manage efficiently an scenario where the total share of RES a country can handle (as a % of the total demanded production) cannot be satisfied with the national RES production – due to a peak in demand or a fluctuation of production. Instead of activating expensive and highly polluting generation units to cover the demand, priority will be given to RES generation coming from neighbouring countries. 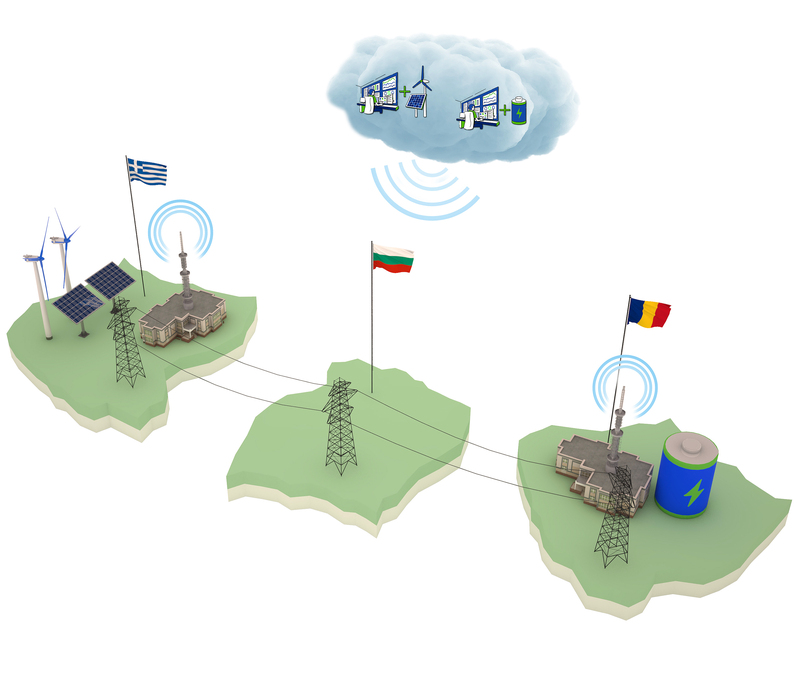 To that end, all operators in the region will be able to share not only information on forecast demand, real-time demand, scheduled/forecast production and real-time production; but also a common platform – the RES-CC – to coordinate the operation of the RES generation units in the region. CROSSBOW will tackle the interest of RES producers in storing the excess of production in neighbouring countries – due to low demand in the origin RES production country or due to curtailment rules in that country. 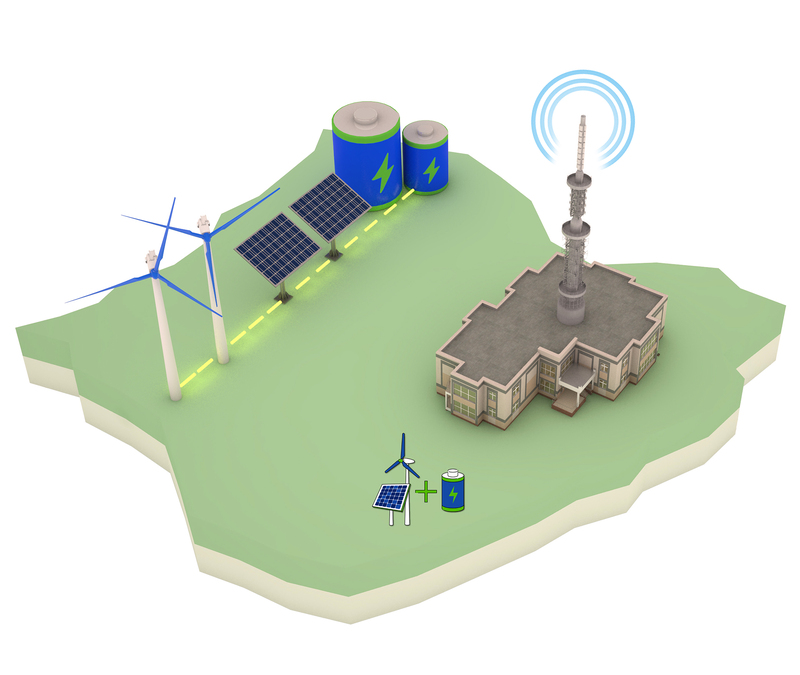 In this scenario, the RES producer will have specific agreements with operators of storage facilities in the destination country to store – and later recover – the stored energy. 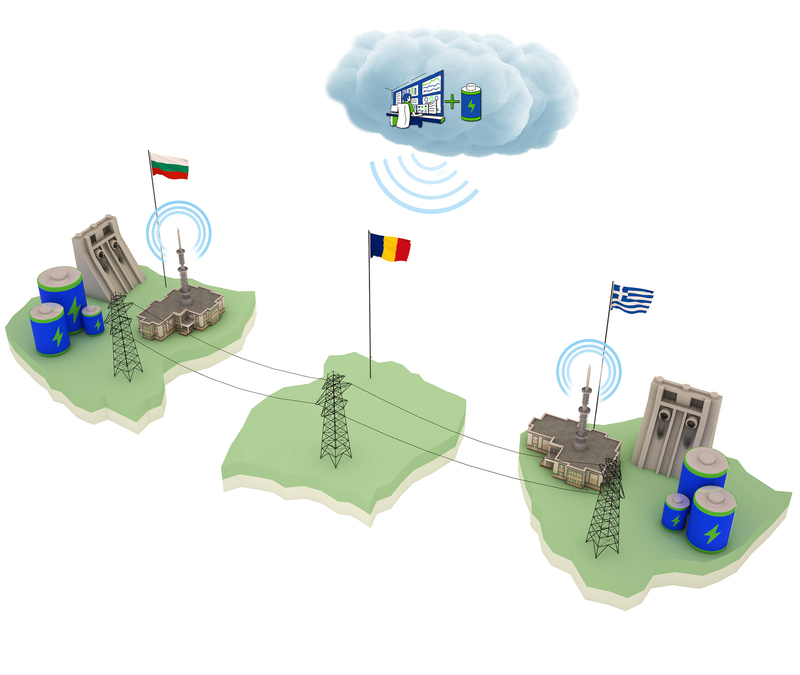 The amount of energy to be stored will depend not only on the capability of the producer and operators of storage, but also on the capability of the network, and especially the interconnection points, i.e., transfer capacity between production and storage locations. Special attention will be paid to fair and transparent market rules to avoid market abuse for illegitimate gain of parties involved. 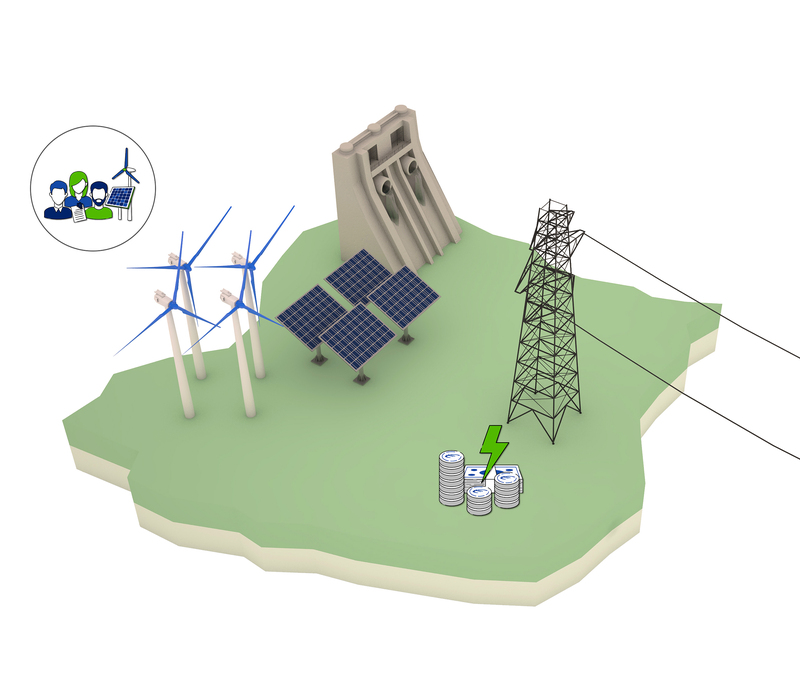 CROSSBOW will demonstrate how a set of distributed storage units (in the same country or nor) can be managed by the TSO and DSO in order to contribute to the quality of electricity supply (voltage level control through Q management ) and to keep the grid balanced through strategies of distributed P control whilst reducing operation costs for the entire energy system. The objective of this HLU is not to store the energy and to trade it later, but to use the distributed storage units to operate the grid more efficiently and at lower costs. This HLU requires the existence of a market to access ancillary services (HLU9) enabling the trade of storage capability for energy quality control purposes. CROSSBOW will demonstrate how the coordinated use of a set of smaller geographically dispersed storage units –i.e. 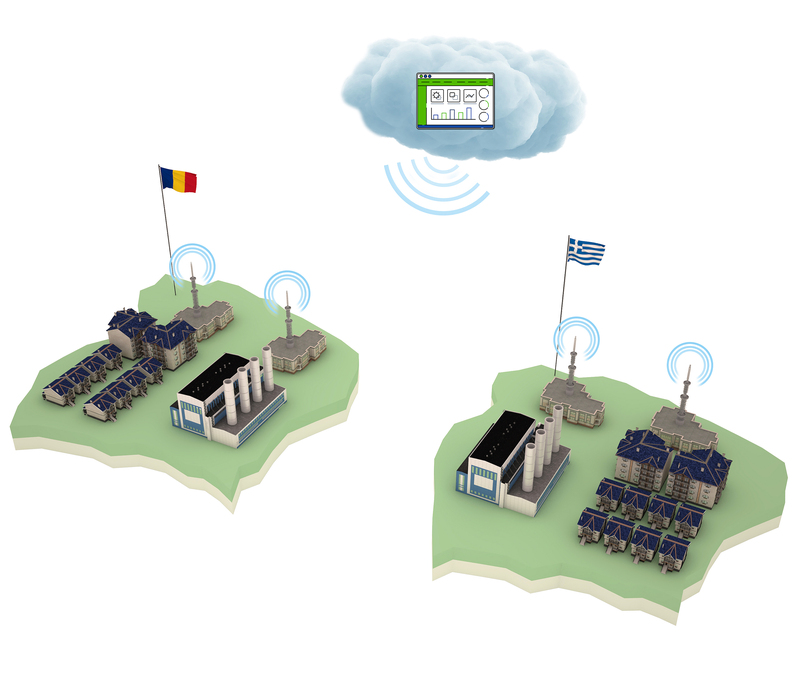 a Virtual Storage Plant – can be considered when large storage is not available to absorb the excess of RES production in the same country or in a neighbouring one. In this scenario, a Virtual Storage Plant (VSP) must overcome all the challenge already presented in HLU3, and also the challenges of coordinating a large number of distributed storage units and the need for close collaboration with DSOs. 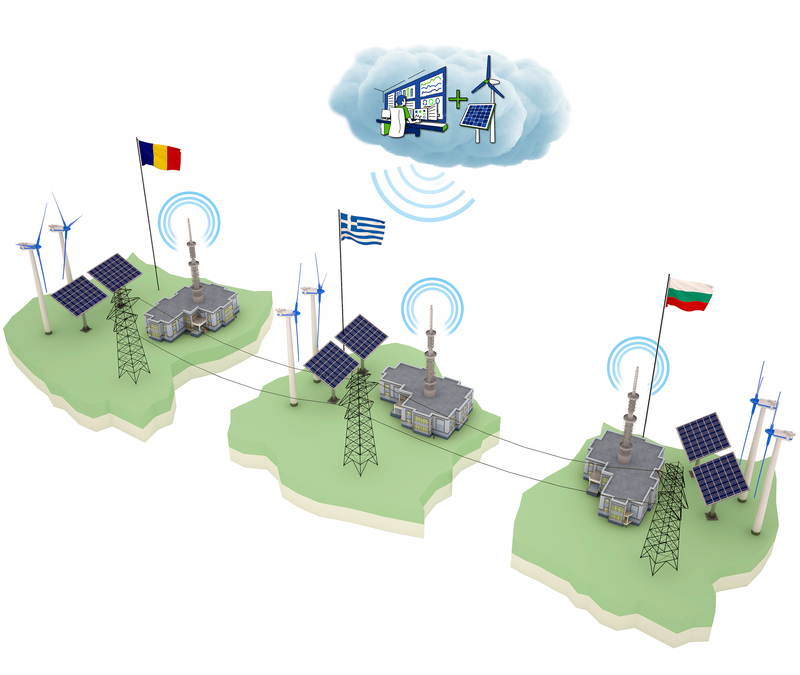 The project will not only explore how a VSP can be used by RES producers to maximise clean energy penetration, but also how a VSP can be used by system operators to increase grid stability. 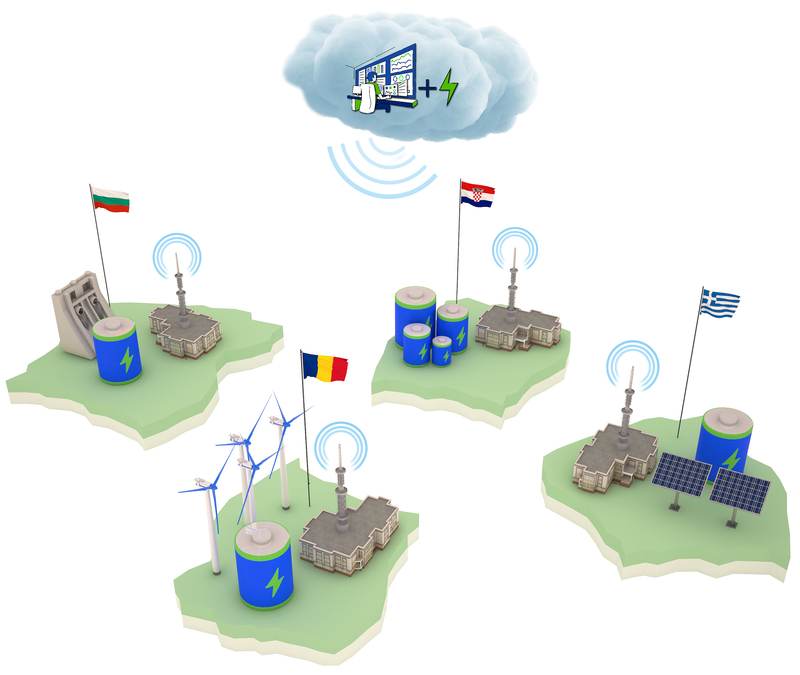 CROSSBOW will tackle a scenario in HLU6 where the demand of a specific country cannot be covered with cheap and green energy units – even using units from neighbouring countries. In this situation, instead of activating expensive and polluting production units, big consumers – in the same or in a neighbouring country participating in Demand Side Management (DSM) schemas, will be requested to modulate their consumption – e.g. public lighting demand of an entire region, water pumping stations for irrigation. The project will analysis the advantages and disadvantages of DSM vs. Storage from both technical and economic (investment) point of views. CROSSBOW will study Hybrid RES plants with storage capability, hybridising with biomass to achieve 100 % renewable and sustainable energy, and providing a stable and reliable power independently of meteorological circumstances. The scenario will demonstrate how to handle the distpacthability problem of certain RES (PV and wind mainly) at the generation level. Non-dispatchable RES technologies will be clustered and internally compensated in new configurations using storage and advanced control technologies, the ensemble being considered as a dispatchable plant connected to the grid at a Point of Common Coupling (PCC). CROSSBOW will demonstrate an innovative business model for Cooperative Ownership of Flexibility Assets. While flexibility Assets, are becoming common providers of balancing services in some European markets, they are normally owned and operated only by electricity retailers or independent aggregators which business objectives might not necessarily be aligned with their providers of flexibility (e.g. consumers, prosumers, distributed generators, RES, and storage). The benefits brought by distributed flexibility requires of new solutions to be more agile and more customizable in business terms to facilitate different interests, objectives and also technical characteristics. CROSSBOW will propose unified types of balancing services, dimensioning, procurement and settlement of balancing reserves and standard products. In addition, a cross-border balancing principles for common usage of balancing reserve and exchange of balancing energy & imbalance netting will be demonstrated. A novel orchestrated multi-nodal market platform will be adapted and deployed, which will allow market players to integrate and interoperate on the distributed concepts with minimum set of harmonized technical and data requirements for market participation.